The first pack of milk can appear on the shelves of Chinese stores in the third quarter of 2019, said in an interview with RIA Novosti Russian trade representative in China Sergei inushin. In early November, the Rosselkhoznadzor and the General administration of customs of the PRC signed a Protocol on veterinary and sanitary requirements during mutual supplies of frozen poultry meat and dairy products between Russia and China. "The first pack of milk will be on the shelf of the Chinese store, and it will be done with the direct participation of our trade mission. To achieve this, we include in our KPI. And the event will be a landmark for us. We want this to be carried out by the third quarter," said inulin.The trade representative stressed, however, that you need to understand that access to the China market has the specifics – it's complex, as carefully regulated. "In addition, it is necessary to reduce the Russian exporter with the Chinese importer, who would be interested in this type of production", - said inulin. 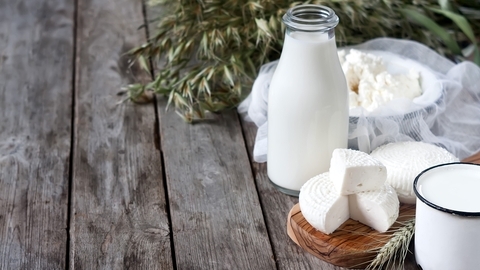 Trade in dairy products between China and Russia will include the supply of cow's milk, the milk of goats and sheep and their products, particularly condensed and not condensed cream buttermilk, yoghurt, kefir, whey, butter, cheese, curd and casein.